Mona Soliman was born in Cairo, Egypt where she did her BSc. in Civil Engineering (major in Sanitary Engineering), working afterwards in several municipal water and wastewater projects, from designing, consultancy and management aspects. In 2015 she finished her MSc. in Sanitary Engineering in IHE Delft, specializing in the design of centralized and decentralized wastewater treatment plants. Her MSc. thesis dealt with the recovery of phosphorus from anaerobic digester supernatant using seawater as magnesium source for treatment plants located in coastal areas. The research was conducted at UNESCO-IHE in cooperation with Harnaschpolder municipal treatment plant and TU delft. Her research was awarded “Best Sanitary Engineering MSc Thesis” by Bill & Melinda Gates Foundation under the framework of the project ‘’Stimulating Local Innovations in Sanitation for the Urban Poor’’. 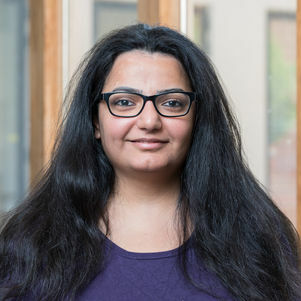 Since 2016 Mona pursues her PhD as delft global fellow. Under the guidance of Prof. Dr. Gertjan Medema, Dr. Doris Van Halem she is researching enhanced virus removal by low cost ceramic membranes. Also check our stories on Delft Global: Finding the perfect filter.